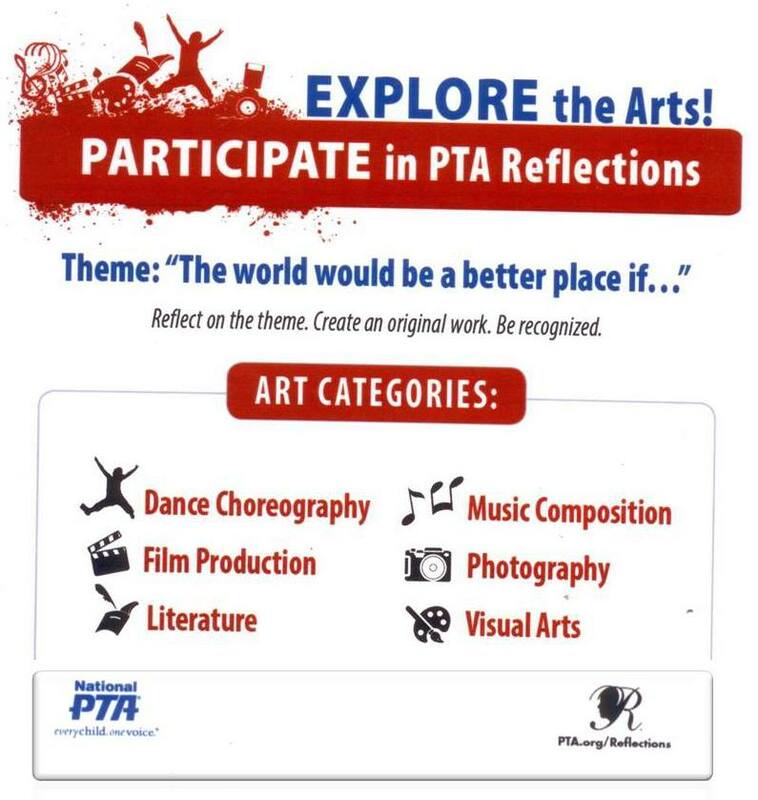 Below you will find information from Michigan PTA regarding Reflections. If you go down to where it says tool kit and click on the link you will find more information about the Reflections program. Attached you will find some forms used in the past for the program. Please make sure if you use any of my forms please change dates and put your information in correct areas. Currently I do not have the entry forms for this year however, I did take last years and just change the dates and theme. I am hoping it is the same form, if it changes I will let you know as soon as possible. I was hoping to have them so we could information out to you and the students. If you would like to send out the information using the entry form I changed go ahead but remember if it changes you will have to make sure the correct one gets completed. If you would like to go over any Reflections information personally just call me and we can set up an appointment to go over it. Also, don’t forget you will have to make sure you are registered online to enter all your school entry forms. If you have question about this let me know. Get started with Reflections!! I am looking at Nov.19th and 20th for City Level turn in. Location to be determined. So make sure you have your deadlines earlier so you can get everything entered into the computer and that all entry forms are complete and can have your school judging before I get them. This webinar will introduce general program information, share ideas, and offer recommendations on how to implement PTA Reflections in your school and beyond. Let’s get started! For more information about the Reflections program, explore the digital toolkit.